Long before there was jerky, there was pemmican. Invented by the Métis tribe, this dried meat product was made primarily from buffalo. Pemmican had a remarkably long life—often years—and provided a convenient food source for early travelers to stack and store. As fur trappers and explorers made their way west, they too came to realize the importance of carrying pemmican on their journeys. Any lean game meat could be made into pemmican. Deer, elk, moose and caribou were used. The tradition was to prepare pemmican for November through February, which would help sustain the Native American tribe through the long winter months. Today, the most common byproduct of pemmican is beef jerky, still a staple on outdoor adventures. Dating back to a time when people spent most of their free time outdoors and away from cell phones and computers; when camping, fishing and hunting were popular activities. Wherever they went, they brought jerky, the snack to carry on all adventures. 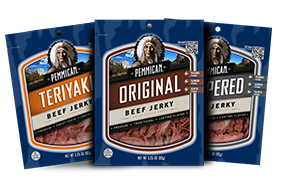 Pemmican Brand had a vision of providing a long-lasting, but easy to eat beef jerky more like the Native American product that inspired it all. 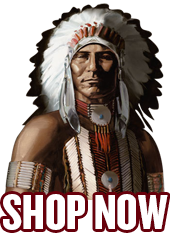 Pemmican established its identity with a Native American name and symbol, in order to create a strong association to the heritage of and respect for the great outdoors. Pemmican is more than beef jerky. Pemmican is an outdoor tradition.